Word of Life Christian Academy, better known as WOLCA by its student body, is a biblically based Pre-K through 6th grade elementary alternative to public school. WOLCA opened its doors 12 years ago and continues to be committed to providing academic excellence while equipping its students with strong biblical principles needed for success in today’s world. It is our goal to prepare these children to become effective world changers. We are privileged to be able to reinforce Biblical teaching and Christian values at school that correspond with those at home. We have the opportunity to have a positive impact in children’s lives by sharing God’s word and showing students how they can apply it in their own lives in and outside of the classroom. Children take this strong educational base and are able to be a light for Jesus in their homes and community. This Web based application allows teachers, parents and administrators to easily communicate, share information and manage their tasks. Parents can log in to access their account information. They can also view their student’s academic progress and account information to stay informed and involved. If you did not receive a user ID and password to access the system and you would like one, please email billing@wordoflifeacademy.org to request your information. Log in here. Word of Life Christian Academy and Preschool is located in south campus of the Word of Life Assembly of God church. The school portion of the building remains locked during school hours. 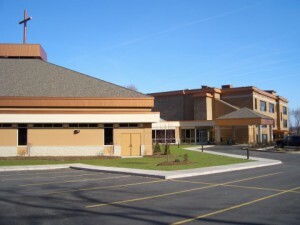 Guests and late students must enter from the church in the north campus before entering the school campus area (as well as sign in and out in the school’s main office). The building equipped with motion sensor alarms during overnight hours is locked after business hours and/or church activities. Word of Life Christian Academy and Preschool admits students of any race, color, national or ethnic origin to the rights, privileges, programs, or activities generally accorded or made available to students at the school. It further does not discriminate on the basis of race, color, national or ethnic origin in the administration of its educational policies and programs. Word of Life Christian Academy serves families in over 10 school districts. Each family is responsible for the transportation of students to and from the Academy. New York State public school busing is available to students who live within a 15 mile radius of WOLCA. Parents must submit their bus request to their district’s bus garage each year by April 1st.